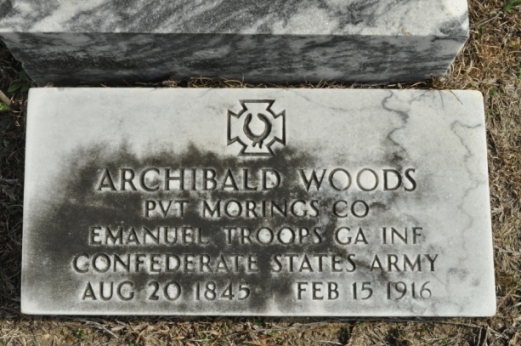 Honoring and remembering Private Archibald "Arch" Woods, Jr., of Company C, The Ben Hill Guards, from Emanuel County, Georgia. Enlisted as a Private June 1, 1864. Surrendered at Appomattox, Va. April 9, 1865. When he returned from Virginia, he brought the belongings of his friend, David Douglas, who had been wounded on the first day of the Battle of Gettysburg, taken prisoner and died in a POW camp. Woods wound up marrying Nancy Mozelle Key Douglas, his widow. 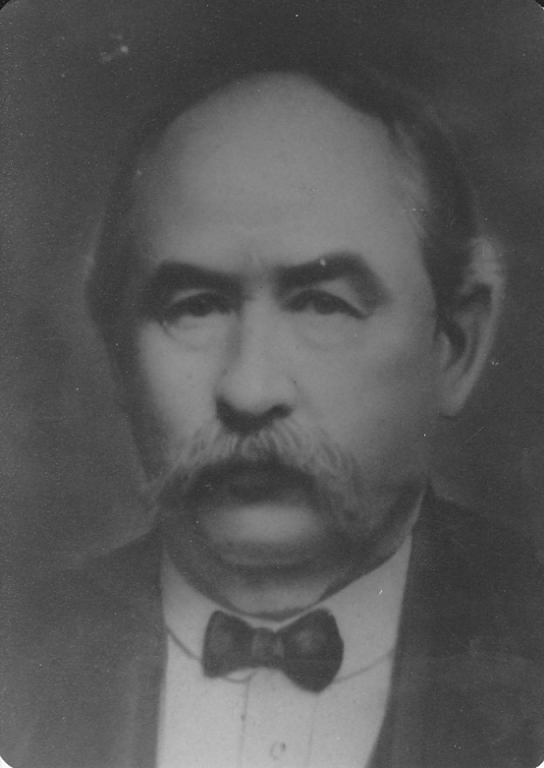 Born 8/20/1845, d. 2/15/1916. Buried at Moxley Cemetery, Swainsboro, Emanuel Co.